Dreaming of starting an airline but don’t know where to begin? One 10-year-old boy went straight to the top for advice. 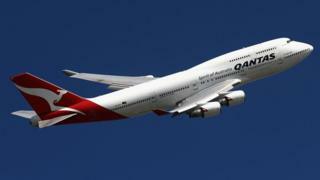 Alex Jacquot, from Australia, decided to write to the chief executive of Qantas to ask about founding a carrier. “Please take me seriously,” he wrote in the letter to Alan Joyce. Now, in a widely shared response, Mr Joyce has offered to meet up with the budding entrepreneur to “compare notes”. As the head of prospective airline “Oceania Express”, Alex had asked for advice on how to advance his business. He assured the Qantas chief he had started work on a few areas, such as “what types of planes I’ll need, flight numbers and catering”. However, he found himself at a loss as to how to proceed. “Seeing as it is the school holidays, I have more time to work. But I don’t have anything to do (that I can think of). Do you have any ideas of what I can do?” he wrote in the letter. In response, Mr Joyce thanked Alex for getting in touch, and said he had “heard some rumours about another entrant in the market”. He added that he typically didn’t give advice to competitors but would make an exception “because I too was once a young boy who was so curious about flight and all its possibilities”. His mother told The Australian newspaper that dates for the meeting were being arranged.